Soft, fresh and versatile, Bazaar® Pita Pockets are a family favourite! 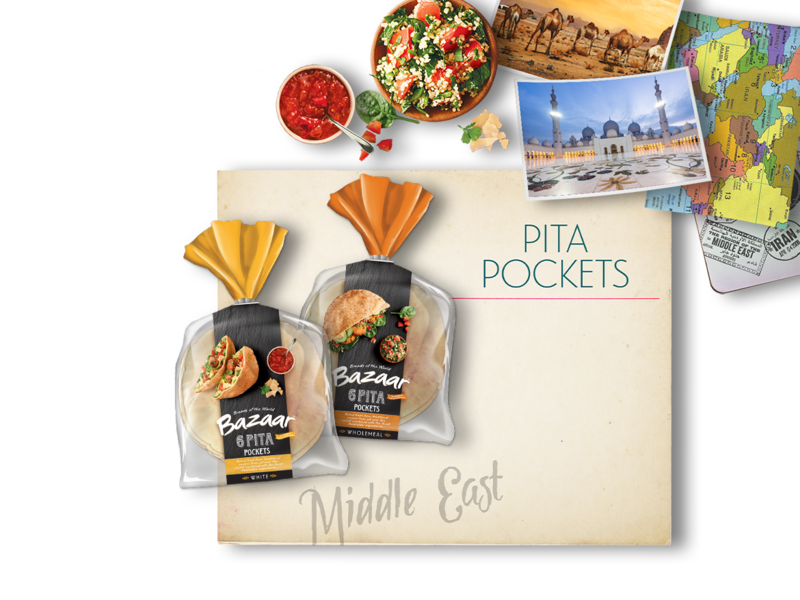 Perfect for any occasion, Bazaar® Pita Pockets will open up a whole new world of healthy meal ideas. Open the pocket and fill with your favourite ingredients or top and grill like a pizza. Available in White and Wholemeal!